This specialized recreation topographic Mapbook of the Canadian Rockies highlights all the provincial and national parks found in the region along with campgrounds, fishing lakes & streams, paddling routes for canoeing and kayaking, wildlife viewing areas and trails for hiking, mountain biking, backcountry and cross-country skiing, snowshoeing, backcountry campsites, historic sites, viewpoints, backcountry huts and cabins and more. No other maps provide you with this much recreational and topographic detail for the parks of the Canadian Rockies. 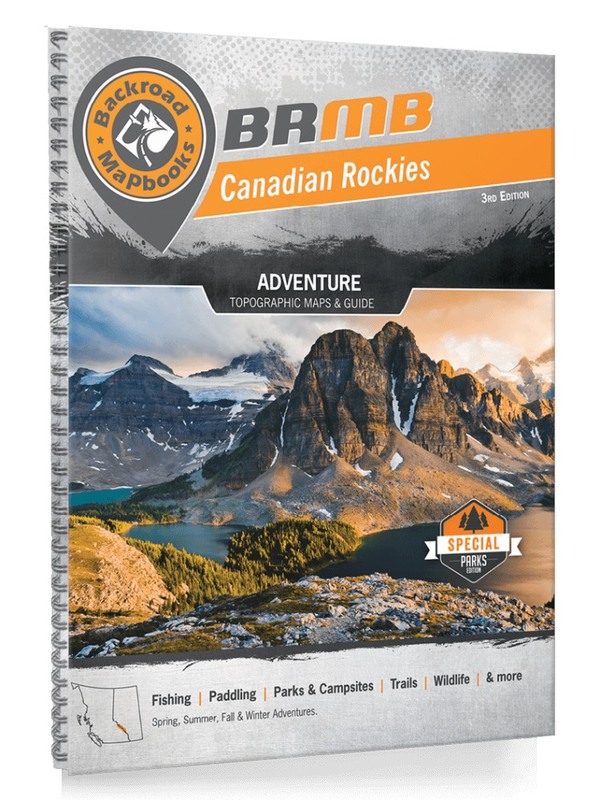 Featuring 45 maps at 1:200,000 scale stretching across British Columbia and Alberta, this Mapbook covers Banff National Park, Elk Lakes Provincial Park, Hamber Provincial Park, Height of the Rockies Provincial Park, Jasper National Park, Kananaskis Provincial Park, Kootenay National Park, Kakwa Provincial Park, Kakwa Wildland Provincial Park, Mount Assiniboine Provincial Park, Mount Robson Provincial Park, Peter Lougheed Provincial Park, Willmore Wilderness Provincial Park, Yoho National Park and others, plus the cities of Banff, Canmore, Grande Cache, Hinton, Jasper, Kananaskis Village, Lake Louise, Radium Hot Springs, Valemount and more.